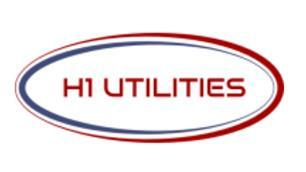 H1 Utilities Ltd - Driveways/Patios/Paths, Landscaper based in Stockbury, Kent. H1 Utilities Ltd is a local company dedicated to the improvement of your outside space. Our team are friendly, polite and professional. Understanding and helping our customers to achieve satisfaction is our main priority. We are based in Kent and cover all surrounding areas. Guaranteeing you a superb service and high quality standard of work. Friendly, clean and tidy, we aim to cause the least disruption as possible. We specialise in Block Paving and Tarmac Driveways, Drop kerbs also Shingle Driveways, Landscaping, Ground Levelling, Tarmac repairs on driveways paths etc. We also specialise in road markings disabled bays and no parking areas, double yellow lines etc. Also pressure cleaning and sealing of driveways paths patios and walls etc. We offer free, quotes and estimates and can provide other services not listed above. If you are interested in any of our services, please contact us for friendly professional advice on the design, construction and maintenance of your outdoor spaces.